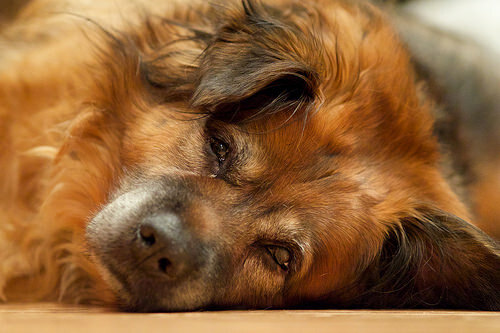 Pets Costs > Veterinarian > How Much Does a Blood Transfusion for a Dog Cost? How Much Does a Blood Transfusion for a Dog Cost? A blood transfusion for a dog can be necessary for a few reasons. If the dog is anemic, has a blood disorder or a disease, for example, a regular blood transfusion may be needed. Also, if the dog was in an accident, there may be internal injuries that may cause the dog to need a blood transfusion as well. Finally, a blood transfusion for your dog may be necessary in case it is somehow poisoned. The new blood will help filter out the old blood that has been contaminated. A blood transfusion, most of the time, is often used during critical accidents such as a car accident or poisoning. Since a dog’s immune system can attack its own red blood cells, the situation could be fatal without a donation of blood. How much does a blood transfusion cost for a dog? The cost of a blood transfusion will depend on your geographical location, the vet, and the amount of blood your dog may need. On average, a whole blood transfusion for your dog can cost $400 to $600 per the whole unit of blood or around $100 to $250 per unit. This is just the costs related to the transfusion and won’t include additional hospitalization costs to stabilize your pet. By the time you add in medication, hospitalization stays, pre-op blood work and the transfusion, most bills can easily exceed $1,000 to $1,500. According to StraightDope.com, an artificial blood derived from cattle known as Oxyglobin, an FDA-approved product, costs $150 per unit. Whole-Dog-Journal.com claims that the entire procedure could cost $500 for a whole unit of blood or $150 per unit or even more than $1,000 for a dog suffering from an acute crisis. The NCBI obtained samples from 25 small animal practices, trying to determine how they obtained their blood transfusions and the direct costs. According to the study, the primary source of blood came either from a borrowed dog or via in-house dogs at the practice. The costs per whole 500-ml unit ranged from $25 to $300, with 75 percent of the practices costing less than $100. Before a transfusion begins, the vet will make sure that the donor’s blood will be a close match, which is the same process that is used in humans. This is done to avoid any conflicts, problems, side effects, or rejections. There are more than 12 types of canine blood. The proteins of the blood will be labeled, such as DEA 1.1, DEA 1.2 and so forth. Your vet will typically have two options: buying the blood from a blood bank or receiving it from a local donor dog, often found on site. While most emergency animal clinics stock blood, many general practitioners offices won’t and will have to receive it from either a local blood bank or from a donor dog. After the preliminary testing is done and the dog finds a match, an IV will be placed for the blood transfusion, a process that can last up to four hours. Once done, the dog will be monitored for a few hours to make sure they are stable. The vet will monitor any vital signs, such as the dog’s body temperature, heart rate and blood pressure, and may perform a blood test in the case of anemia. If any necessary procedures are required outside of the transfusion, additional fees can apply. Sending your dog’s blood into a lab ahead of time to determine its blood type is highly recommended. This test is often less than $50; however, this cannot be done in an emergency situation. It may be a good idea to perform this test as a preventative measure just in case something happens to your dog in the future. Know how the vet receives their blood. Some veterinarian offices do not screen their blood. A reputable vet clinic will have its own blood bank that is available at all times. Blood at a blood bank can be stored up to 45 days if frozen properly. This blood will be donated from local donor dogs in the same way that people donate blood to the Red Cross and other organizations. According to PetMD, a dog can have several immediate reactions to a blood transfusion, including a fever, vomiting, weakness, incontinence, shock, collapse, and general loss of transfusion effectiveness. With small dogs, hypothermia is a possible side effect since the blood has been frozen and is therefore very cold. Long-term effects can be much worse since they take a while to surface and can cause damage before you even know it is a problem. Heart failure and liver disease are the most common long-term effects. If the transfusion has to be done in case of an emergency, it is best to have it done at a specialist clinic. While most vets perform transfusions daily, they will have time ahead of time to sample the dog’s blood and find a match. A blood transfusion should be the last resort. These procedures are known to be hard on the liver and can even cause suppression of the bone marrow. To prevent a mismatch in the future, consider storing some of your dog’s blood. Some veterinarians offices keep a dog and cat on hand so that in case of emergency, they can get a blood donation from an animal that is readily available. Dogs, unlike people, do not possess preexisting antibodies against foreign DEAs. Consult with several vet offices. Most offices will be more than happy to provide a quote over the phone. Remember that a transfusion should be your last resort. If possible, discuss alternative options with your vet. If you know the procedure is going to be done ahead of time, consider purchasing your blood online. This can often be a cheaper route to take. Consider talking with a local veterinarian school. Students, here, can perform the procedure under supervision, for a fraction of the cost.